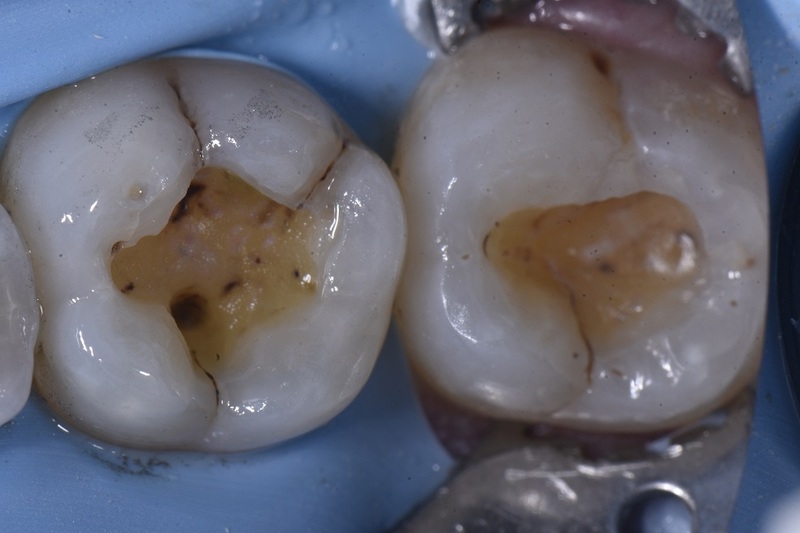 Our practice specializes in the safe removal of mercury restorations under rubber dam isolation and adjunctive evacuation to ensure maximal patient safety and optimal prognosis for bonded resin restorations. 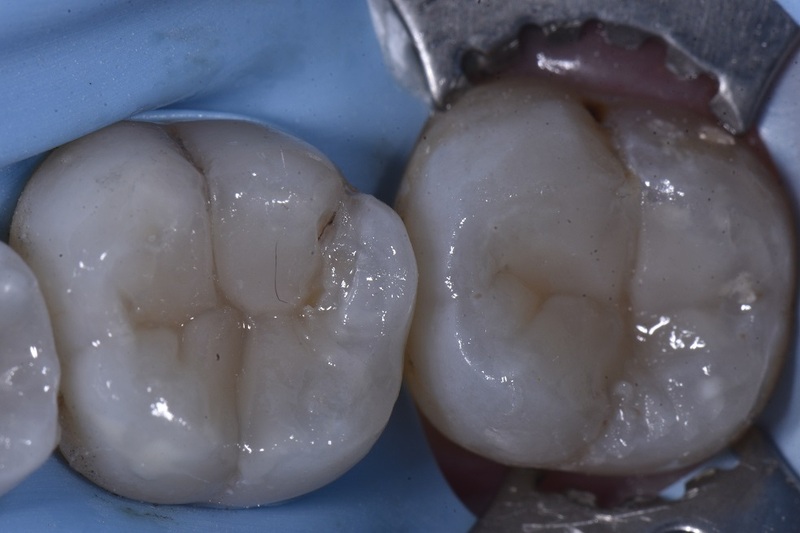 This case featured routine replacements of old restorations (36 was symptomatic and felt “leaky” according to the patient) and 37, well. I just wanted to do it. 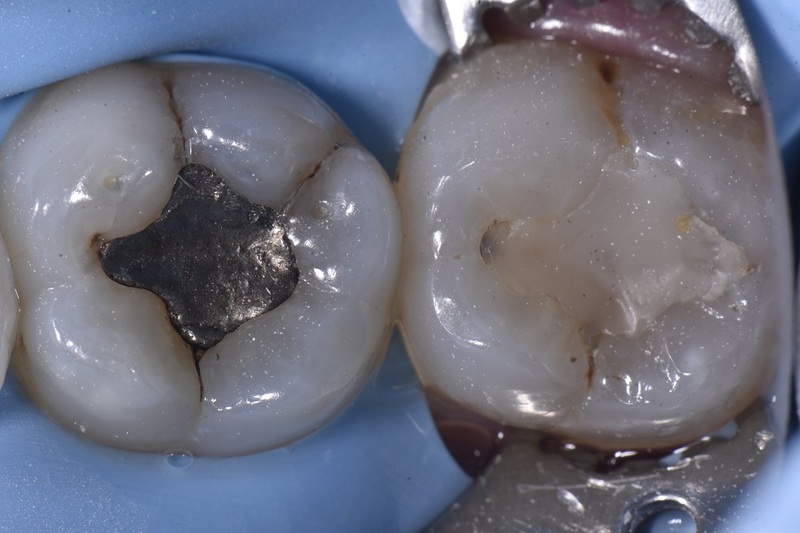 A single shade of GC Essentia was used in conjunction with G-Premio Bond via a total etch technique after micro air abrasion using 27 micron aluminum oxide (Danville Prep Start set at 40psi or 2-3 bar). 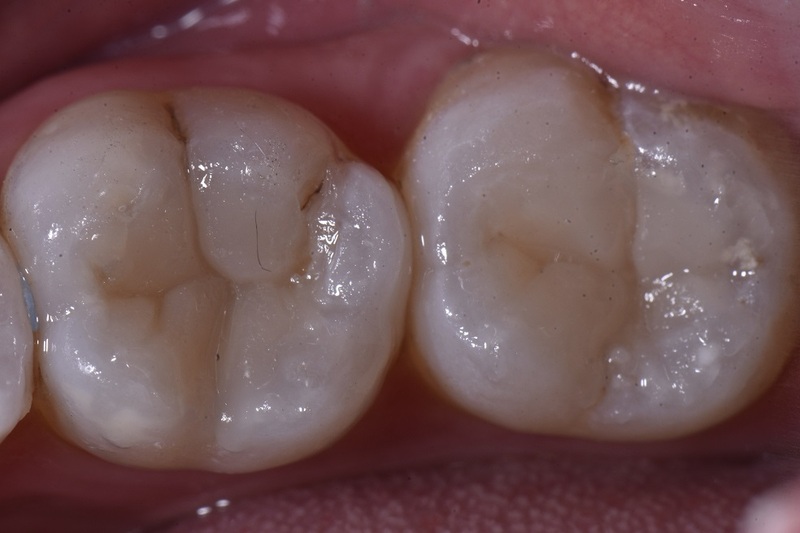 No staining at all, just a clean result.